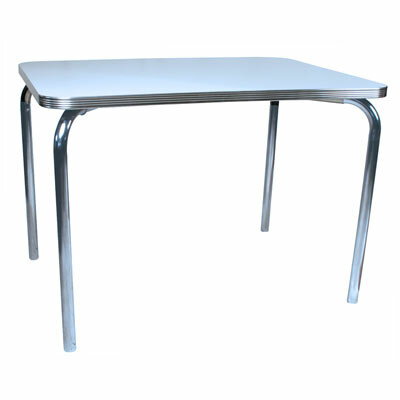 Our retro diner tables are commercial grade tables that work in both restaurants and homes. All of our tables feature high pressure laminates which are extremely durable and the surface of choice for many restaurants.. Our chrome tables look great with our retro bar stools and retro diner chairs. The table shown above features our retro style single chrome table legs. 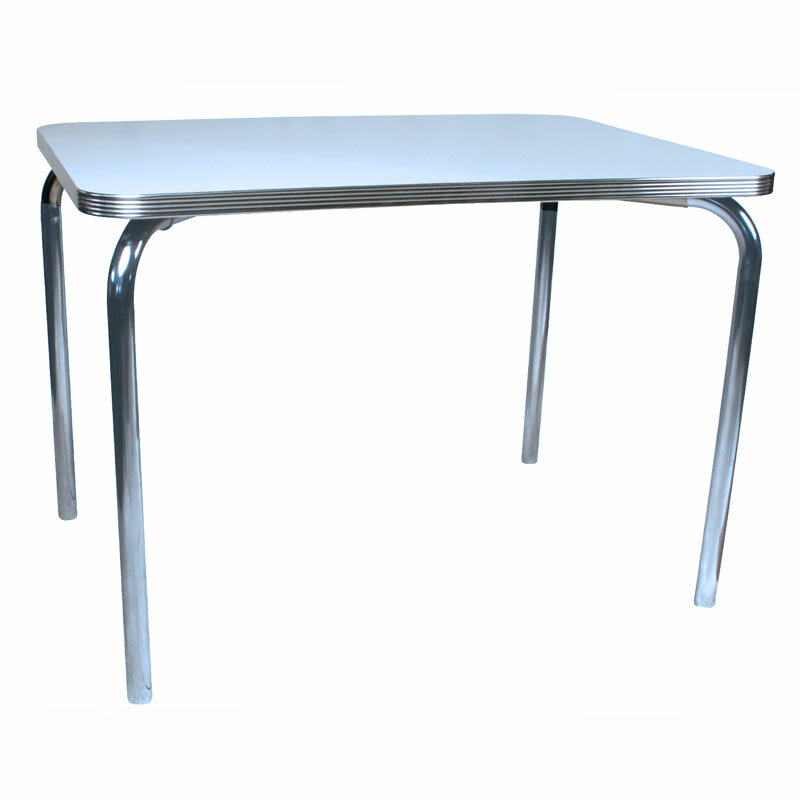 The diner table features a scratch resistant high pressure laminate top. This table is made in the USA.